Margaret of Wessex was born circa 1045 in exile in Hungary to Edward the Exile and Agatha (of unknown origin). She was thus a granddaughter of the King of England, Edmund Ironside. After the Danish conquest, her father was exiled to firstly to Sweden and then to Kiev. He relocated to Hungary as an adult. She had a brother who was briefly king, Edward the Ætheling and a sister Cristina, who became a nun. Margaret returned or rather yet left for England in 1057, where her father died shortly after his arrival. They had been called back with the prospect of inheriting the throne from Edward the Confessor. There is possibility he was murdered and his untimely death ultimately led to the Norman conquest. 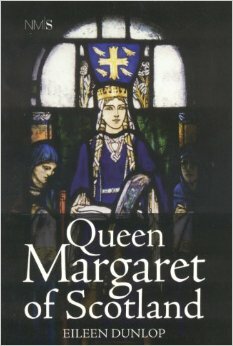 Margaret and her remaining family fled to Scotland where she caught the eye of Malcolm III of Scotland. He was 14 years older than she was and a widower. She was a very pious woman and probably thought to spent her days in a convent after her father’s possible murder. She and Malcolm had many children over 15 years of which eight survived to maturity, quite a record for the time! She was the mother of three Kings of Scots and a Queen of England. 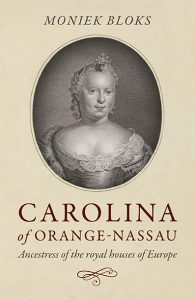 The book is quite thin, but this is simply because not much survives of Margaret. There are no surviving letters, and her early life is quite unknown. She is best remembered as the saint she became after death. She instigated religious reform upon the Scottish Church. 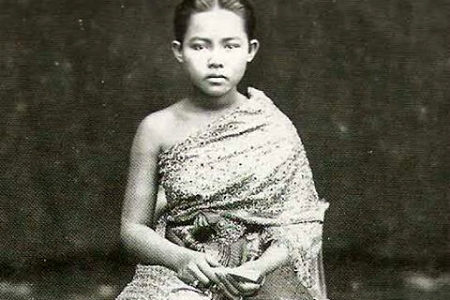 She is said to have transferred her piety on her children, especially her sons. She had her own cave for prayer, which you can still visit today. It’s called ‘St. Margaret’s Cave’. St. Margaret’s Cave. Photo credit: Douglas Sprott via Flickr. She established a monastery at Dunfermline and even established a ferry service to assist the pilgrims. She spent much of her time in prayer and was much admired by her husband. Her death came at a turning point in Scottish history. While her husband and her eldest son Edward were killed at the Battle of Alnwick on 13 November 1093, she lay dying. Her son Edgar came to tell her, and the scene is one the most famous scenes from Scottish history, although it comes from secondhand testimony. Margaret had received the Holy Viaticum on 16 November, but she was in excruciating pain. She asked for the black cross to be brought and with it in her hand recited a psalm. ‘God, the Lord God, has spoken, and summoned the world, from the rising to the setting sun, Offer to God the sacrifice of thanksgiving, and pay your vows to the Most High. If you call upon me in time of trouble, I will come to your rescue…’. After being told the news, she spoke the words ‘Deliver me’ and died, just four days after her husband. The story of her remains is a bit gruesome. They were buried in the Dunfermline Abbey and placed in a shrine there in 1250. This is probably the time her skull was separated from her body. In 1560 it was removed to Edinburgh Castle by Mary, Queen of Scots as a relic to assist her during childbirth. The head ended up in France in 1597 and was lost during the French Revolution. 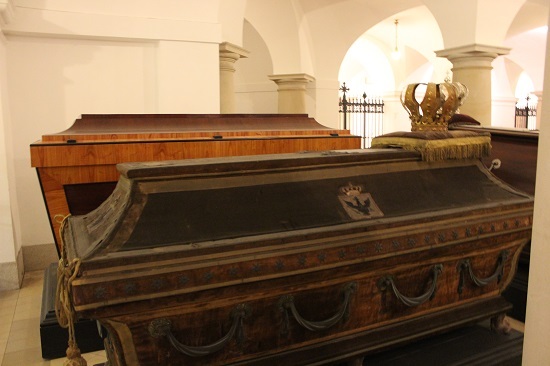 The rest of the remains were transferred to the Escorial in Madrid by Philip II of Spain, and now they are lost. Margaret was canonised in 1250 by Pope Innocent IV and her feast day is 16 November. She is now known as Saint Margaret of Scotland.